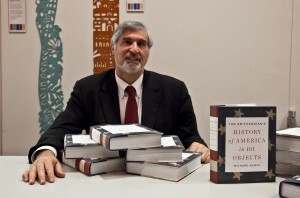 Under Secretary for History, Art, and Culture, Richard Kurin, helped kick-off our 20th anniversary year at the Sullivan Museum and History Center (Vermont) in September and he’s on the road again sharing stories from his recent book, The Smithsonian’s History of America in 101 Objects, with Affiliates across the country. Since 2013 he has visited 11 Smithsonian Affiliates and will travel to two more in January and February 2016. On February 16, he will visit the North Carolina Museum of History in Raleigh where he will continue to “WOW” visitors with stories about the Star-Spangled Banner, Abraham Lincoln’s Hat and less-well-known objects like Harriet Tubman’s hymnal and Jonas Salk’s polio vaccine. And keep a lookout! 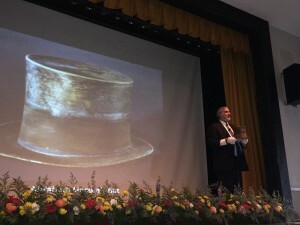 Dr. Kurin often travels with 3D printed replicas of some of the treasures in the books. If he uses one, snap a photo and tag us at #SIYN20 and share with us! 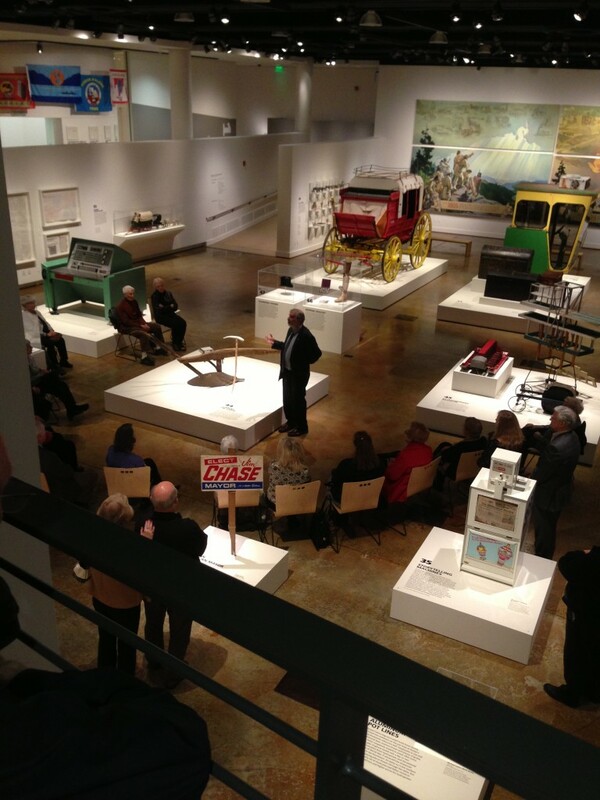 In the meantime, enjoy these photos of Dr. Kurin’s travels through Affiliateland speaking about his book. Twenty years ago, during the 150th anniversary celebration of the Smithsonian Institution, Secretary I. Michael Heyman announced the creation of a national outreach program that would extend the reach of the Smithsonian collections to communities, museums and research organizations across the nation. To fulfill the Smithsonianâ€™s mission for the â€œincrease and diffusion of knowledge,â€ Smithsonian Affiliations was created to provide access to Smithsonian collections and vast resources. The programâ€™s goal was to make sure those who cannot travel to Washington, D.C., could experience and enjoy the Smithsonian in their own neighborhoods. At the end of its first year, Smithsonian Affiliations welcomed 21 museums as Affiliates. Today, the program has established partnerships with more than 200 organizations in 45 states, Puerto Rico and Panama. This month begins our series of highlighting the Smithsonian in Affiliate communities. We’ll be posting blogs, sharing photos on social media, inviting Affiliate guest authors to share their stories of being an Affiliate as well as Smithsonian guest authors sharing their history with Affiliates. We’ll be continuing this series through October 2016, so follow us along on Facebook, on Twitter, on Instagram and this blog. 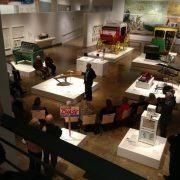 We hope you’ve experienced the Smithsonian in YOUR neighborhood! Are you a Smithsonian Affiliate? ContactÂ usÂ (affiliates@si.edu) for the logo and guidelines. https://affiliations.si.edu/wp-content/uploads/2016/01/affiliations-logo-final-1.jpg 373 500 Elizabeth Bugbee https://affiliations.si.edu/wp-content/uploads/2019/03/si_Affiliations_rgb_single-line_color-280w-1.jpg Elizabeth Bugbee2016-01-04 10:00:192017-03-10 17:50:5920 years in your neighborhood!